Hope you got your dramatic finger-pointing skills ready, because we had lots of drama in tonight's Glee. But wait, we also need some winking, because there was plenty of comedy to be had, mostly in the form of Matt Bomer's guest role, Cooper Anderson. But first, let's get one thing cleared up right away: Did Quinn survive the car accident? Quinn Survived the Car Crash: We found out in the opening minute of the episode that Quinn's (Dianna Agron) spine was severely compressed in the crash, so she has no feeling in her feet and legs and will need to use a wheelchair. But Quinn took the high road, choosing not to blame anybody, especially Rachel (Lea Michele), and promising herself and her New Directions teammates that she will be walking—nay, dancing—at Nationals. Unfortunately, Quinn experienced a rainbow of emotions during the episode that hindered her positive outlook: She yelled at Artie (Kevin McHale) that she wasn't like him and she would walk again, even though they spent a majority of the hour bonding, and she found herself snapping at Joe (Samuel Larsen) when he said he was praying for her. By the end of the episode, all was well with Quinn, and she led Joe to join New Directions finally. Who was shocked by that move? Nobody, but we liked to see "hippie Jesus" join the club anyway. Matt Bomer Needs His Own Spinoff: Our lives are now separated into two categories: Before seeing Matt on Glee, and after. 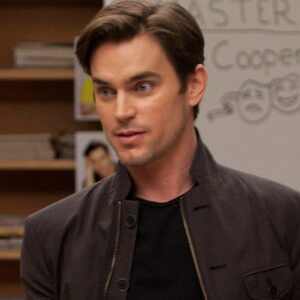 It's magical to live in a world where Matt "Living Disney Prince" Bomer is playing one of the most awesome Glee characters ever, Cooper Anderson. But not so magical for his brother, Blaine, who has had issues with him his whole life. And "Coop" is so full of himself, he doesn't even realize his acting lessons are really ridiculous. Oh, and we have a message for the Glee set and/or prop department: please send us all of Cooper Anderson's headshots and the giant wall of screens playing his commercial on loop. Thanks. Even though the brothers spent the whole episode butting heads, we did get two great musical numbers out of their feud. One being, of course, their duet to "Somebody That I Used to Know" at the end of the episode where the bros worked out their differences and (hopefully) left the door open for Matt to return. 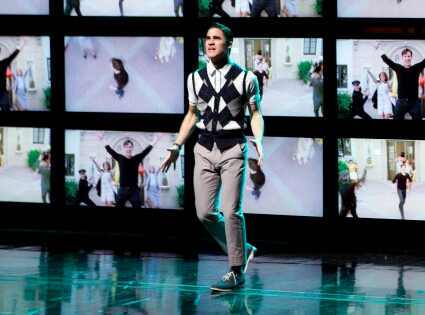 The other great number was Darren Criss' "Fighter." OK, we're just going to be real shallow here and say we loved it because of the boxing-shower combo. 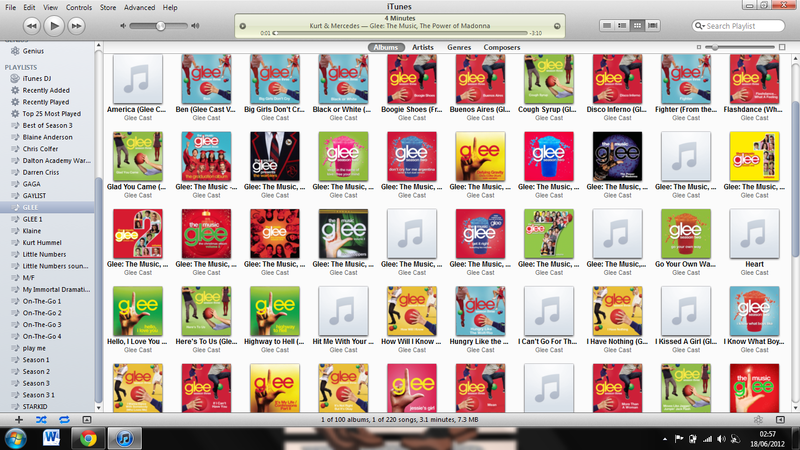 Thanks, Ryan Murphy! Sue Is Having a Baby Girl: The Cheerios coach now has a co-coach in Roz Washington (NeNe Leakes), which she is totally on board with. Just kidding, she loathes it. To win her head-coaching spot back, Sue (Jane Lynch) promises to deliver a National championship from New Directions. And since she recently found out her unborn baby girl is facing complications, we got a brief moment of Sue's humane side when she told the glee club that she wanted to be around them so her baby could soak up their "optimism." Then she went back to mocking Kurt (Chris Colfer) and all was right in the world. By the by, did anyone else find it weird that Will (Matthew Morrison) and Sue went from being at each other's throats over Booty Camp to Will and Emma (Jayma Mays) accompanying her to the doctor's office? We have whiplash over their kind of-maybe-sort of friendship, but we suppose that's why we love those three together. Finchel on Opposite Coasts? It could happen. The lovebirds did not get married at the courthouse, and according to Finn's (Cory Monteith) big speech at the end, the marriage might not be happening at all! Finn is worried about his life after graduation, especially if he's just following Rachel to New York so she can go after her dreams. He's thinking about moving to Los Angeles, since Puck (Mark Salling) wants to open a pool cleaning business. Not a bad idea, but it would mean Finchel separating physically, since Rachel is dead set on New York. Looks like someone has to either give up their coasts, or they'll have to break up. We gotta ask you Finchel fans: what should they do? Let's start the debate! Can Finn and Rachel have their dreams and each other? Or are they doomed to pick one or the other?